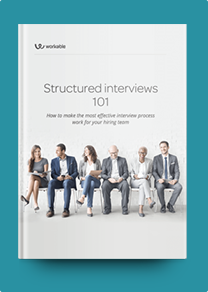 These sample Software Architect interview questions can help you identify and select the best candidates for your company. Feel free to modify these example questions to meet your specific requirements. Software Architects define product requirements to develop functional and effective software systems. They participate in the entire software development life cycle to ensure integration with existing platforms. During your interviews, ask questions that reveal candidates’ coding skills in various programming languages. You should also test candidates for their experience with design and software development tools. Software Architects work on complex tasks. It’s best to include a written assignment in your hiring process to better evaluate how candidates approach specific engineering projects. Your ideal candidate should have strong communication skills and combine a solid technical background with hands-on experience in software architecture. These interview questions will help you identify potential hires who will guide your software development team to produce high quality IT solutions. How would you deploy a newer version of a live website? How would you help identify who is responsible for each task in a software project? What guidance would you give a new team member? How would you design a payment processing system? What would you change if this was a distributed system? What is clustering and what’s its purpose? Name the differences between object-oriented and component-based design. What is the best way to pass configuration variables to ASP.NET applications? Walk me through the process of gathering system requirements. What database management systems have you worked with? Which tools have you used to test code? Can you provide an example of a time you designed innovative software? Describe a situation where you had to explain technical details to a non-technical audience. How did you ensure everybody could understand your presentation? What’s the most challenging software development project you’ve managed so far? What was your role?